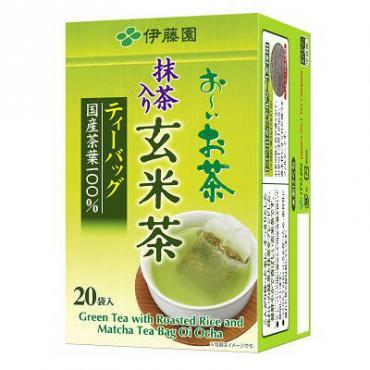 Genmai translates as brown rice and this tea is actually a mixture of green tea, roasted brown rice, and matcha tea. The roasted rice gives a mellow, almost nutty flavor that compliments the crisp, leafy qualities of green tea. Matcha is famous for its many health benefits and rich flavor. The combined flavors work together in a really satisfying, and healthy, way. Fine quality Japanese genmai tea bags from Itoen. Just add hot water.